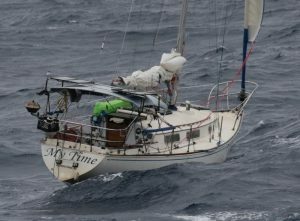 Sailing Anarchy only logs about 30,000 readers annually from beautiful Denmark, but we do love our Scandinavian friends – and one of them took issue with our Vestas Wind story yesterday. I would like to draw your attention to a small error. You reported yesterday that the Vestas Wind boat is the “the first-ever Danish-flagged Volvo entry”, but this is not true. 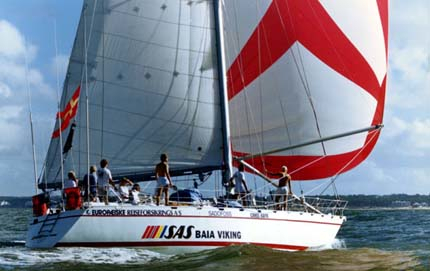 SAS BAIA VIKING, a Kjaerulff 50, competed in the ’85/86′ Whitbread with skipper Jesper Norsk. The full story is here in “BaadMagasinet”, including links and time stamps from the archived movie of the ’85 race.